A Fancy World with Various Novelty Gifts, Gagdets, Toys, Tools & Creative Furnishings You Never Seen Before! Why does the keyboard must be the arrangement of QWER always? Why do I have to keep so many key-presses? Can I desigh the key arrangement of my keyboard myself? 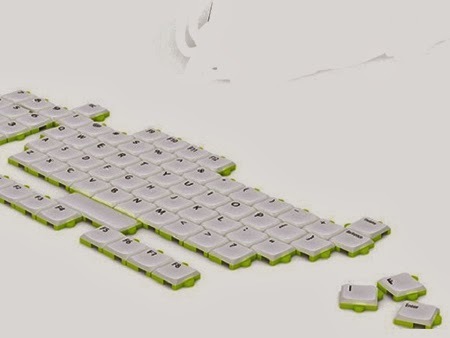 This is a piece of cool keyboard similiar to a jigsaw puzzle we played usually in our childhoods, you can combine the locations of each keys at random, for example, you often use the 'Ctrl' key, so you can place it at the position that you feel most comfortable. Or "delete" the key you don't need or rarely use. 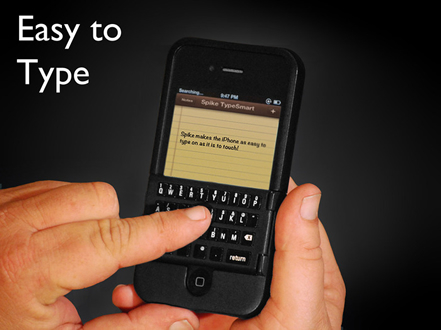 What if you get your index finger hurt and it is hard to reach the F key? Make it more comfortable for your wrist. What if you bothe have iPad and other tablet personal computer. It can a simple remote control. All the keys you do not need can be removed, leaving those we use frequently only. 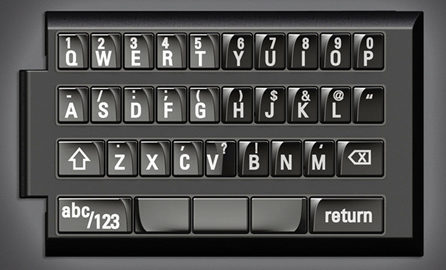 and you can also re-layout all keys according to the using habit of your hand. 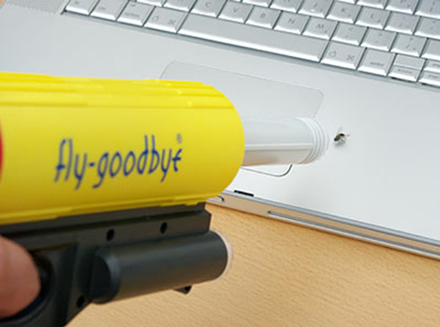 Novelty Mosquito Killer Gun – Cool and Funny! As the summer has come, and to most of people, fighting with mosquitoes is very a troublesome thing, so how could make this thing interesting more. Now take a look at this gun, mosquito gun, it is not designed to hit mosquitoes, it killed mosquitoes by sucking them into its 'stomach'. Remark: This cool gadget looks cool as well as funny, it maybe, I guessed, able to catch a mosquito or something, but it is also difficult, as much as uses with chopsticks, hmm. 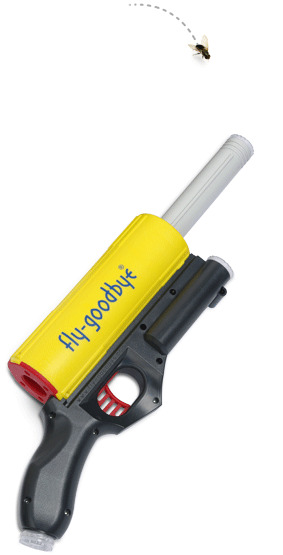 * Originally archive: Novelty Mosquito Killer Gun – Cool and Funny! For girls who love to keep long nails, when using keyboard, it is most possible to encounter fingernails broken by the keyboard often. Now there's such a keyboard, its kercaps are made of round soft rubber material, feels good, you will not mistake keys for long nails, but the main role is can protect the nails of girls who love to keep beauty long nails. So, you will have to admit that it is really a best gift for girls who love beauty! The gift idea is very simple, but very practical and cozy. If you carrying a handbag without a package when go out, especially in cold winter, and in most occasions, it is not convenient to place hands in your pockets, so this creative handbag is best for protect your hands from cold. 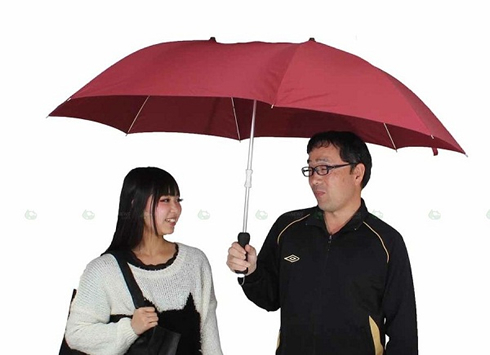 Rainy days, want to stay with your girlfriend in one umbrella, and it's very easy be wetten both, how to do it? So there's someone designed such a umbrella, when it been opened fully, the umbrella diameter can acchieve to 1.2 meters, that's enough space for two people. 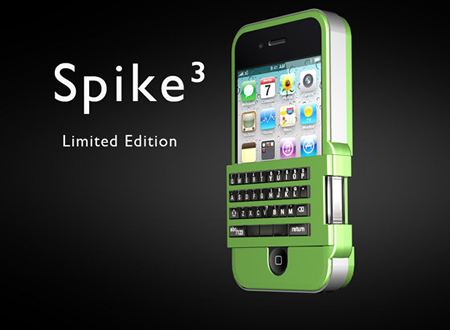 Spike Keyboard for Iphone - Cool iPhone Sleeve! For many people, the input of the iPhone is somewhat difficult and too slow, and often error-prone, and most of them has complain about this often, especially for those who’d like to chat on the phone, it is even uncomfortable more. 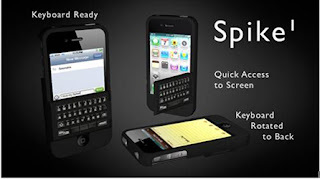 Now Cody Solomon and Robert Solomon Brothers designed this Spike keyboard for iPhone, it is physical keyboard. 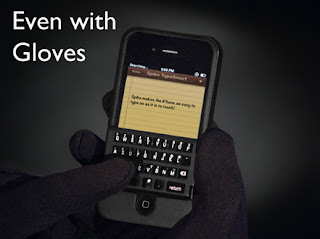 That combines with the mobile phone protective sleeve. Input is very convenient, it is in similar way when you’re inputing with a virtual keyboard, of course, you can easily enter into the touch state - type without looking, which can improve the typing speed effectively. In cold weather, you can take the same input with gloves, do not worry. When you need no inputting, you can flip the keyboard behind the back. 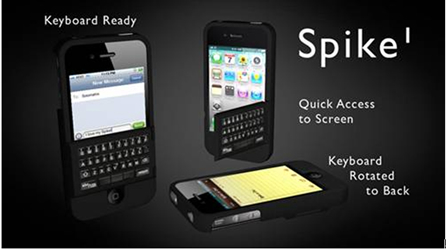 Really cool iPhone case and great gift idea! isn't it? I'd like to introduce and display an excellent selection of China gift, fine arts & crafts, home decorations and fashion accessories to you, also give you great China gift ideas for various occasions and preview the latest fashion trends in China. We Are Cool Toy Soldiers (Kids Toy Stores Online)!